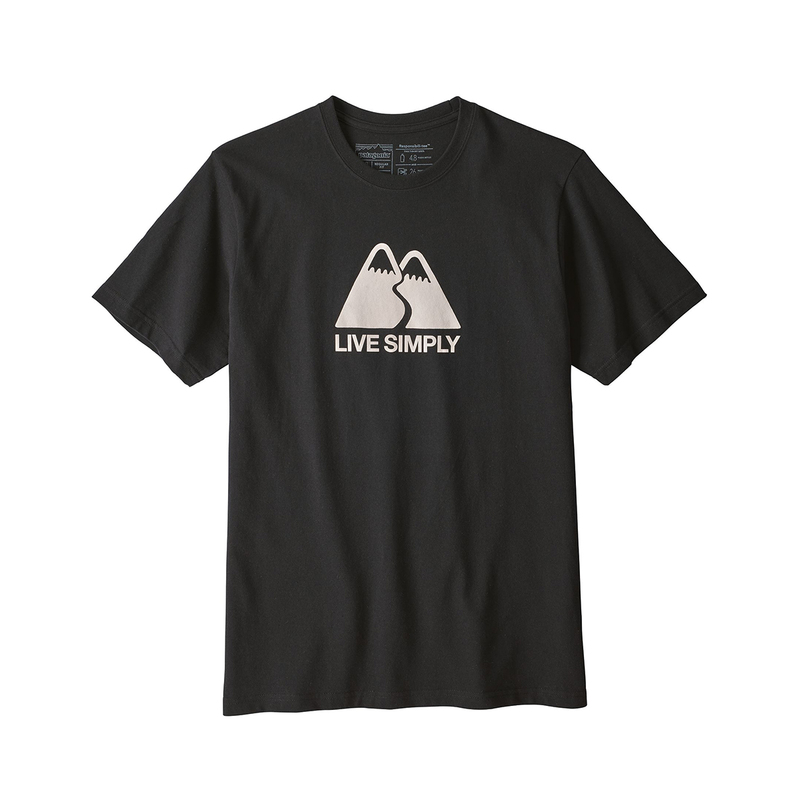 The Patagonia Live Simply Winding Responsibili-Tee is a fully recycled t-shirt with an original Patagonia 'Live Simply' graphic on the front. The 'Responsiibili-Tee' line of t-shirts are made from a blend of 50% recycled cotton and 50% post-consumer recycled polyester, reducing the need to create raw materials which have a large carbon footprint. The artwork is also screen-printed using PVC- and phthalate-free inks, the sewing is Fair Trade Certified™, and the fabric is bluesign® approved. MATERIAL(S) 5.6-oz 50% recycled cotton/50% postconsumer recycled polyester.